Max, Anna and Fred met with the local the Portuguese Socialist Party in Norwood and discussed a number of issues impacting upon the local Portuguese community. Meeting at Cafe Castelo we spoke with the owner, members of the Portuguese community and Alcino Francisco, leader of the Portuguese Socialist Party in London. We will continue to support the Portuguese community in Thurlow Park and the wider West Norwood area and hope to build ever closer links with other groups in the ward over the coming months and years. 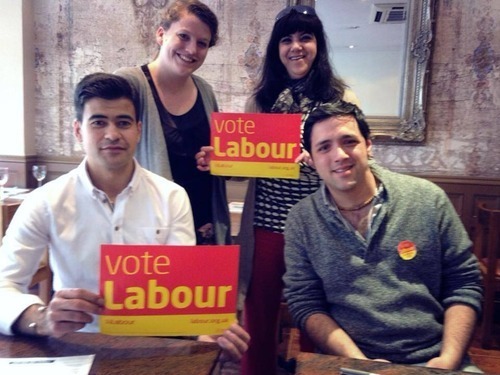 Posted on May 17, 2014 by thurlowparklabourTagged anna birley, community, Fred cowell, max deckers dowber, norwood, Portuguese.